Mexican cuisine has emerged as a paradox of globalization. Food enthusiasts throughout the world celebrate the humble taco at the same time that Mexicans are eating fewer tortillas and more processed food. Today Mexico is experiencing an epidemic of diet-related chronic illness. The precipitous rise of obesity and diabetes—attributed to changes in the Mexican diet—has resulted in a public health emergency. 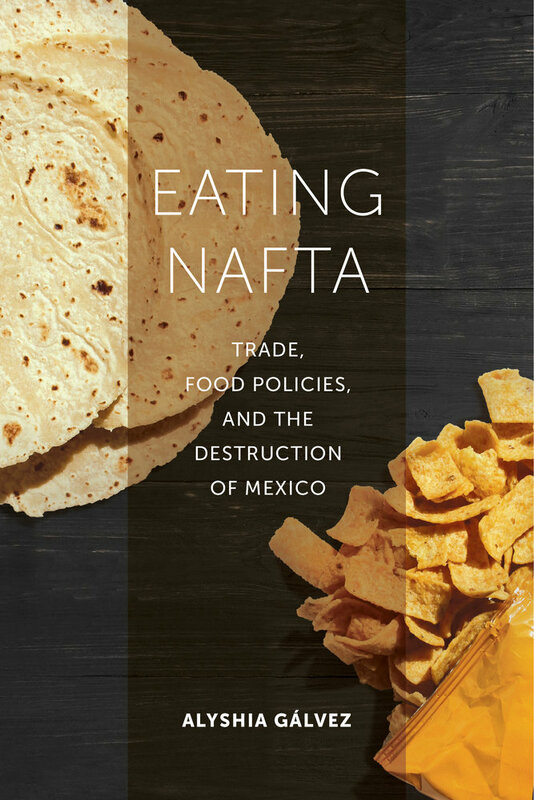 In her gripping new book, Alyshia Gálvez exposes how changes in policy following NAFTA have fundamentally altered one of the most basic elements of life in Mexico—sustenance. Mexicans are faced with a food system that favors food security over subsistence agriculture, development over sustainability, market participation over social welfare, and ideologies of self-care over public health. Trade agreements negotiated to improve lives have resulted in unintended consequences for people’s everyday lives. NAFTA is a Terrible Deal. Don’t Scrap NAFTA. Alyshia Gálvez is Professor of Latin American and Latino Studies at Lehman College of the City University of New York. She is the author of Guadalupe in New York: Devotion and the Struggle for Citizenship Rights among Mexican Immigrants and Patient Citizens, Immigrant Mothers: Mexican Women, Public Prenatal Care, and the Birth-weight Paradox. 6. Diabetes: The Disease of the Migrant?